Ottawa Home Services Group (OHSG) has Ottawa’s best selection of Air Scrubbers and Negative Air Machines. 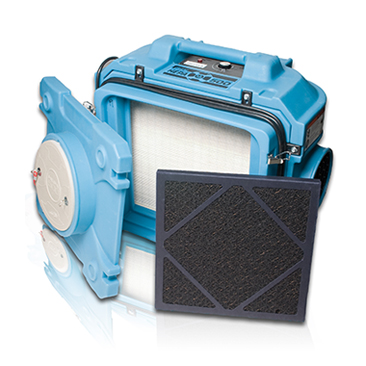 We feature the DefendAir HEPA 500 Air scrubber. 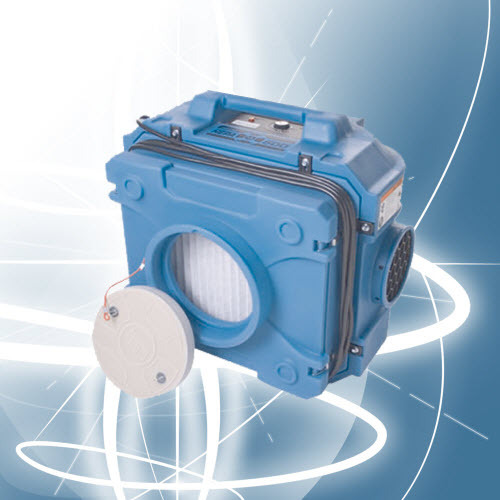 Air scrubbers are also known as negative air machines. This piece of equipment is invaluable to the contractor who is looking for a way to keep their drywall dust or construction dust down. Many clients are very happy to know that you would be using an air scrubber as it will drastically reduce their needs for post construction cleaning. In addition to dust, it also is HEPA rated and can be fitter with ducting if need be. Air scrubbers/Negative air machines can also be used in restoration jobs when dealing with Mould/mold Remediation or Asbestos removal as it will completely filter the air and maintain a safe environment both for the client as well as for the workers. Another great use for Negative air machines or Air-scrubbers is for odor control. The HEPA 500 can have a carbon filter added for odour control use. The carbon filter will remove VOCS, Paint Fumes, Mould and Mildew smells as well as increase air flow in stagnant areas. It moves over 30000 cubic feet per hour through it’s filtration process. The HEPA 500 is light weight, versatile and has a small footprint so it is usable on in every situation and every job.